On Tues, Apr 10, Equal Pay Day was nationally recognized as the day that women’s pay “catches up” to men’s. Basically, up to this day, women have been working for free. 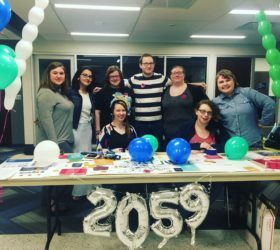 In order to bring attention to this issue, the American Association of University Women, or AAUW, put together an event that they called “Party Like It’s 2059”. Co-chair of the group, Nelofar Sultan, gives more information about this event. 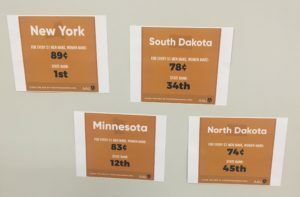 “We called it that because with the rate the gap is closing right now, it will take it until 2059 to fully close.” To put it in perspective, a 20-year-old woman right now will be 61 by the time they are able to earn as much as a man does and their granddaughter’s daughter might be earning the same as a man for the same work. 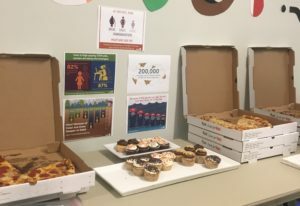 AAUW has been working with men and women, not only on campus but in Madison and around the United States, to ensure that everyone is earning the equality that they deserve. The event is just one more way to bring attention to the fact that women everywhere are victims of inequality and wage disparity.